Oh, no! 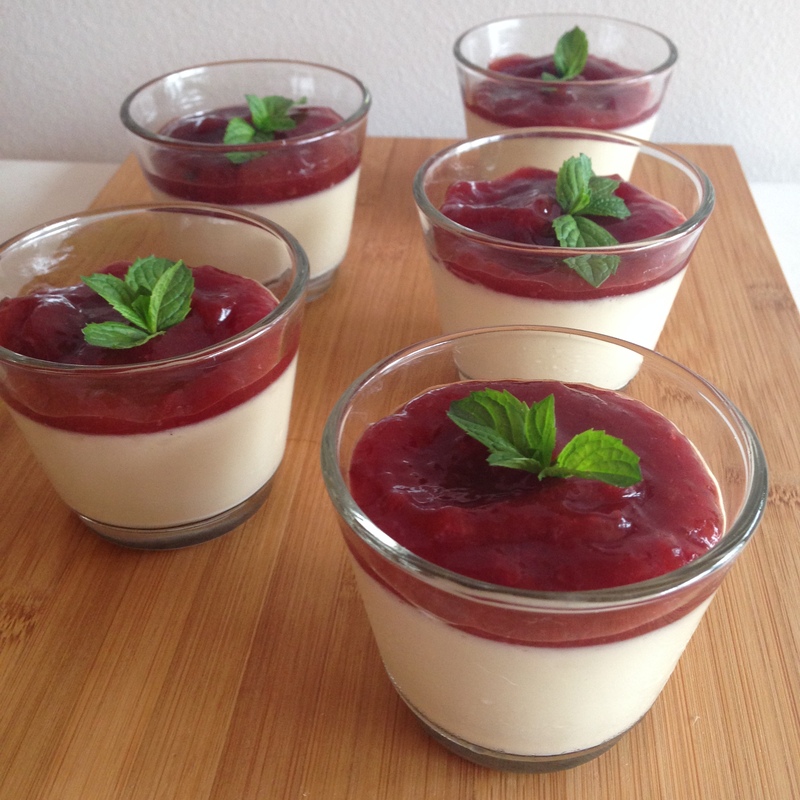 You have guests coming over tonight nad have no idea what to serve them for dessert! Plus, it’s super hot outside so you don’t want to be heating your kitchen with a hot oven. But you also don’t want to serve them store bought cookies or cake, right? Well, I have a super quick solution for you, a dessert that will take you no more than 15 minutes to make (after that it “makes” itself by itself in the fridge) but will impress your guests and leave them wanting more. 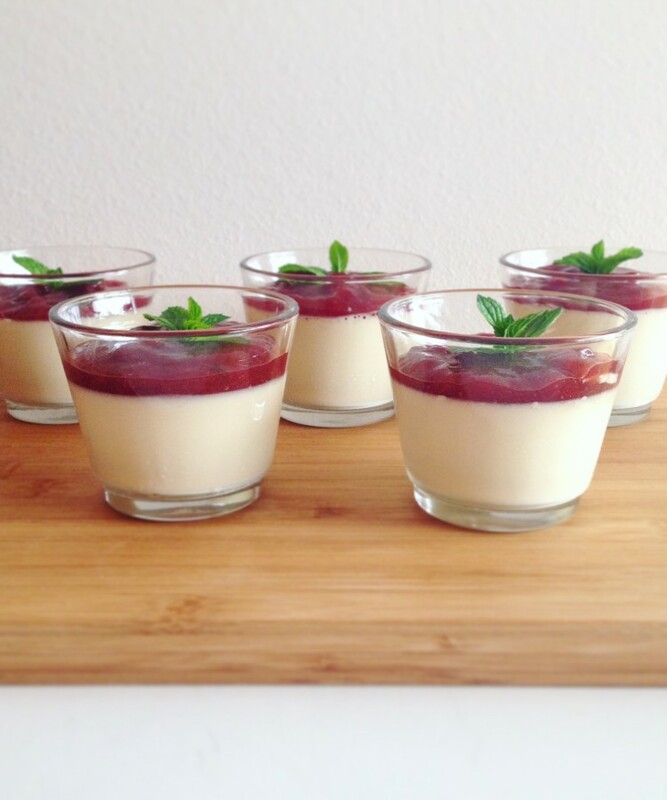 Here is a recipe for a four ingredient panna cotta (and no, one of them is NOT the store bought panna cotta mix!) that can be made sugar free or not (both options included below). Dip gelatin sheets in cold water and let them soak while you cook the cream. In a medium pot, heat the whipping cream and bring it to a boil. Reduce heat to medium and add Sukrin and vanilla powder. For a less healthy alternative, you can use 50 grams white sugar and a package of vanilla sugar. Stir weel and then let simmer for 10 minutes, mixing occasionally. Remove from heat and stir in gelatin sheets. Make sure you’ve drained them enough before that. Stir well to distribute the melted gelatin through the entire mixture. Place the mixture into small glasses and allow to cool to room temperature before you cover them with plastic foil and place in the fridge. Let sit in the fridge for at least three hours. 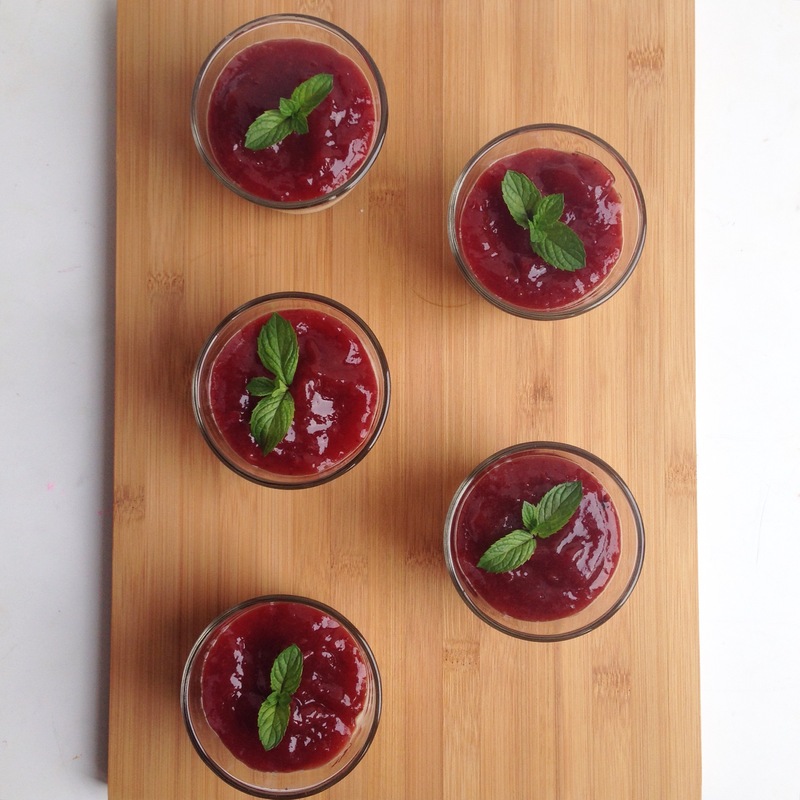 Once the panna cotta has set, you can either serve it with some warm jam (for a sugar free recipe follow this link) or fresh fruits and mint. Otherwise keep in the fridge for up to three days.